Is there a link between immunizations and autism? I believe that the evidence presented below is very much in favor that there is. When my wife and I learned of the movie called "Vaxxed" on the Daystar Television Network, we joined Amazon Prime just so we could watch it. We found it to be well worth the effort. If you like, you can click here to order a DVD of the Vaxxed movie. 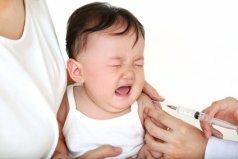 I would like to share some links with you of videos that address the connection between immunizations and autism. These are incredibly powerful and revealing. In this segment, it is stated that in 1978, the prevalence of autism was about 1 in 15,000 children. Other sources show that in 2018 it was 1 in 59. Over half of these children showed irregularities before the age of 3. The film segment states that, if we can assume that the trend in the increase in autism is going to continue as it has, we can predict that by 2032, half of the children will end up on the autism spectrum - 80% of the boys and 20% of the girls. This segment includes Sheila Ealey's story. She took her twins in for vaccinations. The boy received 4 vaccinations, including a double MMR vaccination. He made a fuss, and then Sheila noted that they had given both her son's and daughter's MMR to her son. Sheila was upset and left without her girl being vaccinated. Sheila says she lost her son that night. He cried and cried and cried. She laid him on a blanket on the floor, and he started banging his head immediately (this is a typical first sign of the toxicity of the vaccine antigen being introduced into the brain). He had never done that before. Before this vaccination he was a happy, jovial baby. He had started walking and engaged in mimicking with his father. The next morning he was non-responsive. When Sheila went to pick him up, he made no eye contact and just fell back, like he couldn't hold on any more. Now he is brain-damaged. You can see more of his story and more on this segment. Dr. William Thompson of the CDC: "Oh, my God, I can't believe that we did what we did; but we did." Examples include: Omission of crucial data, destruction of documents, misleading the congress, grievous harm to innocent children. Very compelling. Here are multiple links to videos of parents who share their story of how their children became autistic shortly after they were vaccinated. On December 4, 2018, Robert F. Kennedy Jr. dropped a truth bomb live on TV, defying Big Pharma and corrupt mainstream media by sharing real facts about vaccine safety. You can click here to read more about this, plus you can watch his interview with Tucker Carlson below. These four requests are the main initial goals of the makers of the Vaxxed documentary and reflect what they feel is necessary to ensure safer vaccines. Since the combined MMR is causing such problems, they are requesting that 3 the separate, univalent vaccines for measles, mumps, and rubella be made available immediately. A friend of mine, Dr. Tiffany Flock, wrote her doctoral dissertation on the topic, "Vaccines - Are They Worth the Health Risks or Not" has given me permission to put it on our website. Click here to read it. Her paper's intent is to provide evidence of the extremely negative aspects of vaccinations that the FDA and CDC attempt to downplay, especially when the FDA issues statements saying they have considered all the ingredients in each vaccine, and they show no harm; but as more research is being conducted, there are indications that provide evidence of long-term damage to the body. What can be done if you believe your child is showing signs of autism? Is there hope? Yes, there is. Click here to learn more.